Does anyone know what year these were created? They're a former PGA set Don Bies used, possibly used when he beat Arnold Palmer in Match play, so the story goes. I found he did, in fact, best him in match play '72. I could not find these on ironfinder eBay or other vintage sites. The seller was not certain that these were the clubs... Bies had many sets. This is exactly what I thought when I saw them. I have a set of custom 75' dynapowers that don't have the circular port near the toe like the regular model. The seller did mention the 8-PW Were factory ground to have the same straight top ridge as the rest. They look perfect, no way to tell they were ever ground. They do look exactly like the button back now that you mention it. Thanks. I'd say mystery solved! 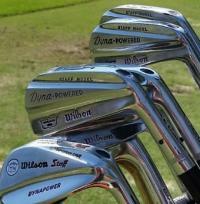 Very nice set of Wilson Staff Dynapower irons! The '71-72 "Buttonback" grind was one of the most popular Dynapower grinds ever. 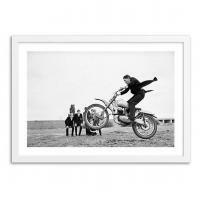 As most of you know, not all custom work is identified by number, or by name. 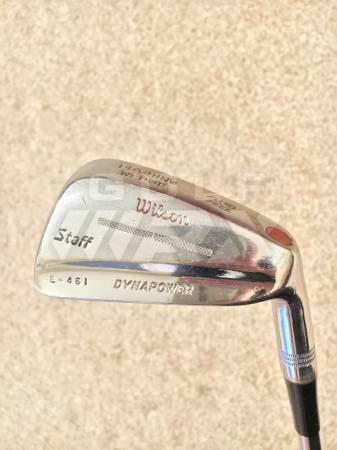 The number you give, E-461, would have been listed in the Wilson Staff Dynapower Custom grind numbers, which were contained in a series of 3 ring binders. To my knowledge, these binders had nearly every custom listing done by Wilson Staff since their inception in the late 40s/early '50s. The custom binders may have been started by Master grinder Robert Mendralla Sr., (RIP) "..but as of 2014, due to retirements and employee turnover in their custom department, Wilson Golf closed this department to the public. It was a corporate decision." The current location of the Wilson custom 3 ring binders is not known, but it has been surmised they were given to Robert Mendralla Jr. They might tell you at Wilson Demo day, but most likely, they won't know. The type of shaft would give a good indication of what year they were made. Very nice clubs. No labels on the shafts. They're in excellent condition, same as the grip-rite grips. They feel like a heavy weight shaft. The heads are tiny compared to modern clubs. But yeah, those binders full of clubs, too bad they're not available. Larry Bobka (Check out his Wrxcast a few moons ago) did confirm the existence of the 3 ring binders last year by email. He also gave me the name of the person who most likely ground Sir Bob Charles irons when he was with Wilson Staff 30 years ago. 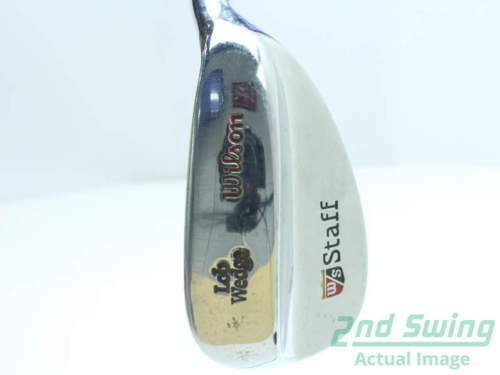 Suggestions for selling Wilson Staff Dynapower JV vintage blades. Seeking advise on whether I should try to pay your non-member fees in your classified section. Which fees? 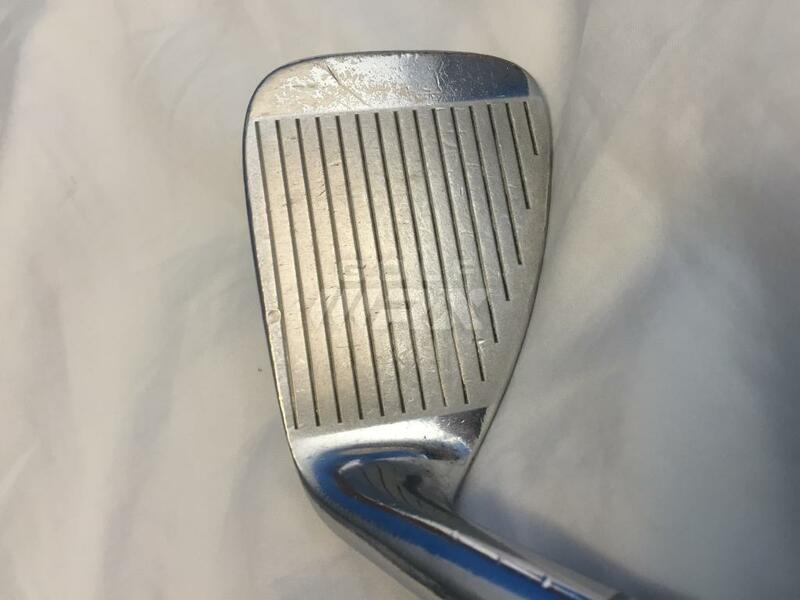 Are these vintage clubs worth the effort. I may just post for ebay auction starting at $49 for 10 clubs starting this weekend which is only $5 per club. These are not red dot, black dot, fluid field nor turf rider. I call them JV model. Is that correct? What year manufactured? The grips for 8 of 10 clubs are new so this is playable not just for collectors. 1975 Dynapowers, custom order. Different than off the rack models in that there's no circular weight port near the toe and no bore through shaft. Nice clubs. I'd guess they're worth 50-150 dollars on eBay depending on condition and set composition. 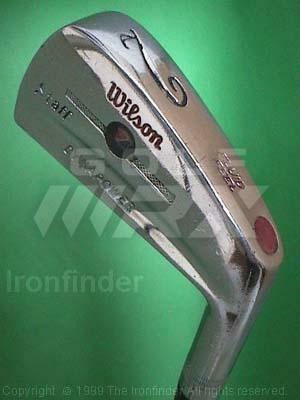 Guess it would be nice to tell you just who your Custom Ground 1974-75 Wilson Staff Dynapower irons were made for. No, "JV" is not the correct designation. 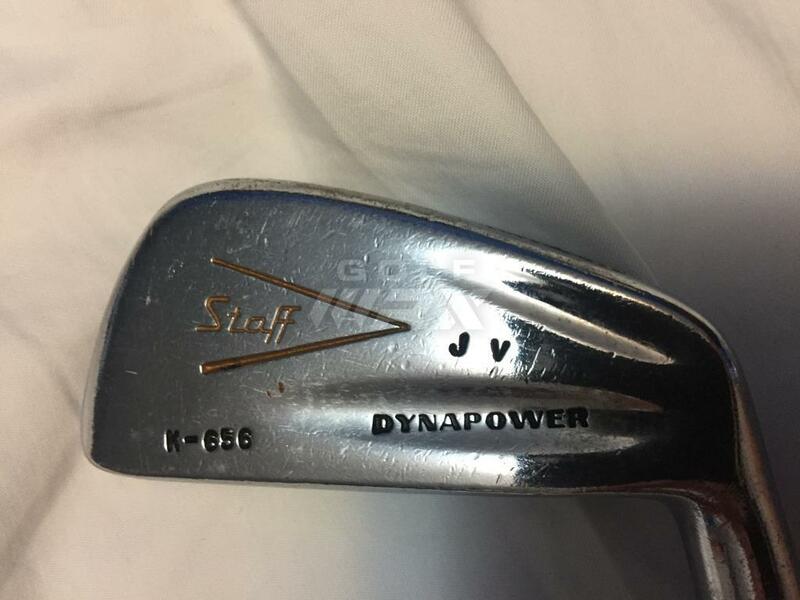 This set of '74-'75 Wilson Staff Dynapower irons has a custom grind number and designation, K-656, which was more than likely described in the set of 3 ring binders for the individual Wilson Advisory Staff Member whom these clubs were ground for. Wilson kept these series of 3 ring binders in it's Custom Department for well over 60 years. No "Adustaback" weight port (which could be removed/adjusted with a metal spike wrench), no "Fluid Feel" designation wanted or needed, since this K-656 model was ground to exact gram weight desired. This is a very specific request, and is one of the hallmarks of a custom grinder of forged irons. The stamps "Wilson" "Staff" " >" "Dynapower", the Custom Grind number K-656, and the initials "J" "V". 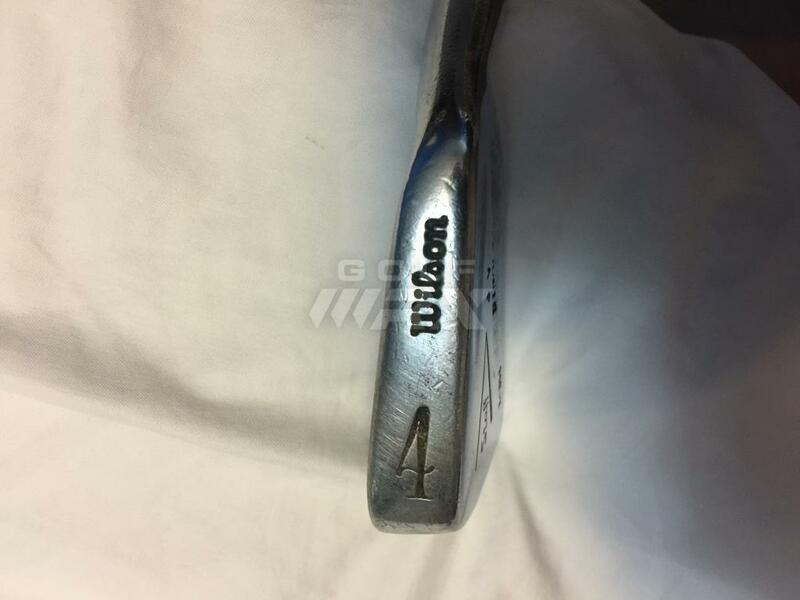 As mentioned in this and previous posts, Wilson Golf discontinued their Custom Department in 2014, and closed access to their past custom designations of their golf clubs. Sorry, but it was a corporate decison, like other things they did in 2014. In the back of the Kaplan Catalog for Wilson Golf, it lists the Wilson Advisory Staff Members. One listed Advisory Staff name with promise is- James Vie Carpenter, then of The Coyote Creek Golf Course in Colorado. Good Luck with whatever you decide to do with them. Thank you for all the amazing info. Very few people would know this detail including the name of the Advisory Staff from the 3 ring binder. Wow. I will plan to most likely list them on ebay this Saturday for auction with a starting price of $49. I heard one guess for price between $50 and $150. What do you think? they may not have been made for the Staff member I mentioned. Sadly, Wilson closed their Custom Department to the public in 2014. You only show the 4 iron, but you have 10 clubs. Here are some of the questions you should be able to answer. What is the condition of the set? (Good, VG, Excellent, Mint) What is the makeup of the set? Note- 2-PW is only 9 clubs. Shaft flex? Understand these are 40+ years old. Is there a Custom Sand Wedge, or 1 iron? Answer these questions truthfully, and you could get what you want. There is a sand wedge rather than a one iron. 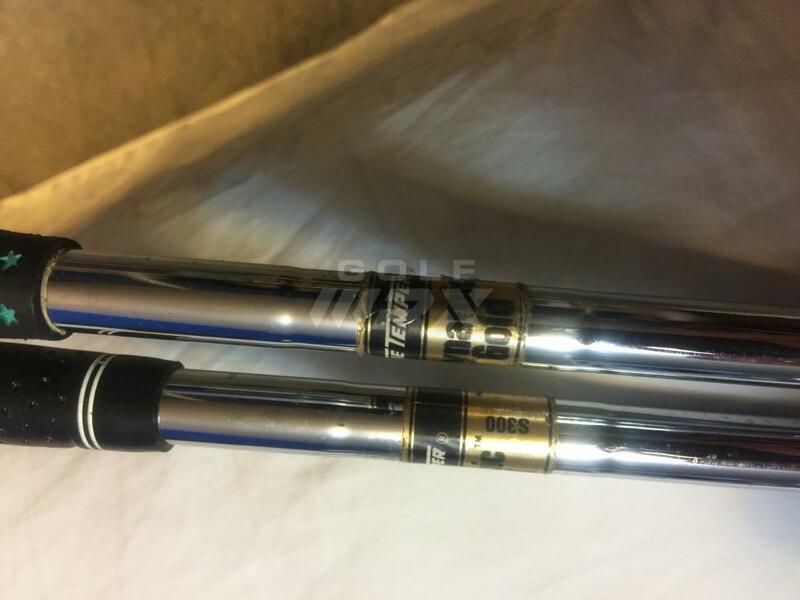 Attached photo shows dynamic gold S300 shafts meaning stiff steel. Condition is between good and very good as can see with attached photo of club faces of 2 and 4 iron. 8 of 10 grips are OK. 5 iron is 38.5 long. That's an interesting set. Generally speaking (or typing as the case may be) the Pitching Wedge or 9 iron is a better indicator of how worn the set is. The long irons are often in excellent condition as they were used much less. I don't usually buy sets on epay that don't show the condition of the Pw. Also, these have been reshafted. Good luck! LUV that square toe, I have not seen too many WS irons that square, usually its the Macgregors that are squared off. Below are 2 photos of pitching wedge. All photos will go out on ebay tomorrow Sat the 11th. with a 10 day auction cycle with a starting price of $49 for all 10 clubs or $5 per club. Extremely rare since all other ebay and world wide other web sites are for red dot, black dot, dynapower II, fluid feel and turf rider. This set differs from this list of common high volume Dynapower product. These clubs are so rare that I can not find one other set for sale on any web site for this model. Comment above about them being re-shafted is not accurate. i bought these used in 1976 when I was in college. They were produced in 74-75 so this is the shaft they used for these custom orders in those days. I played these clubs on and off for these past 38 years replacing grips as needed. Dynamic Gold shafts weren't available until the early 1980s. 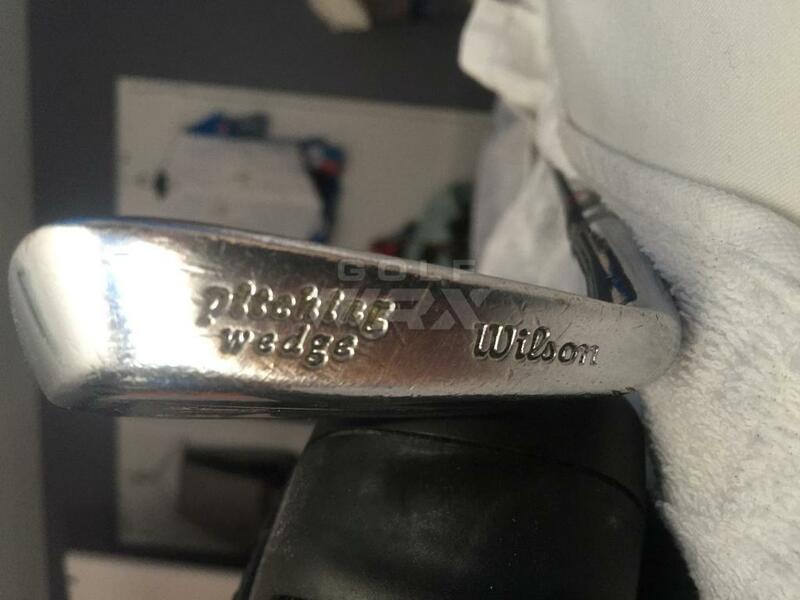 The sole of the Pitching Wedge shows the "s" and "o" in "Wilson" not being connected, a change that first started appearing around 1980. I stand corrected. I did not buy them in 1976. I did not play much regular golf until a couple of years after moving up to Westchester county from NY City so I bought these clubs around 80 - 82 approx. 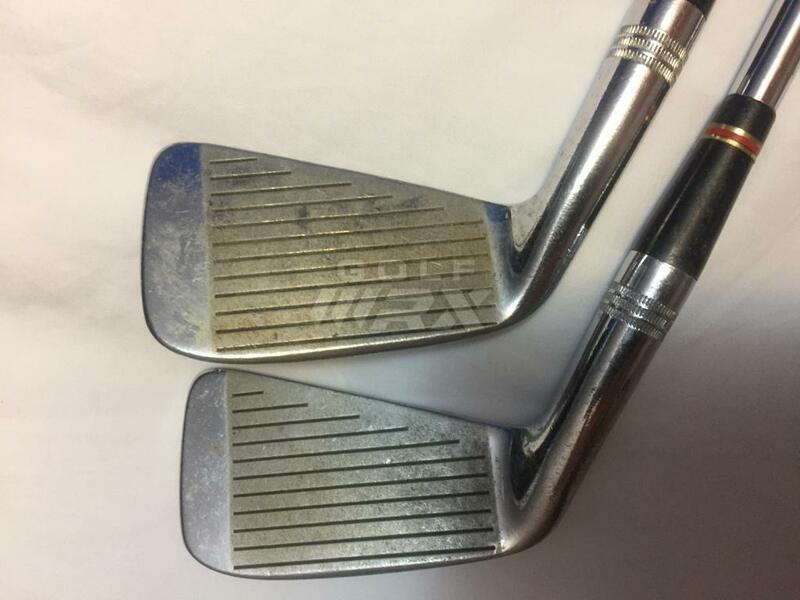 They were not shiny and new then like 2 year old clubs would have been if manufactured in 74-75. They may have already been 6 to 8 years old. See Rex235 August 8th posting above for exact date of manufacture as 74-75. The "Pitching Wedge" stamp is later for this club than the '74-75 Dynapower grind, but again, these were custom ground irons. 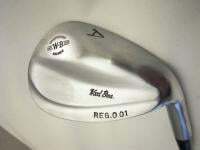 Does the Pitching Wedge have the same grind designation, K-656, as the rest of the set? I remember seeing Tom Kite and Sam Snead with irons like this (referring to the back stampings, nothing more) at PGA Tour (Senior Tour in Snead's case) events in the mid 1980s. 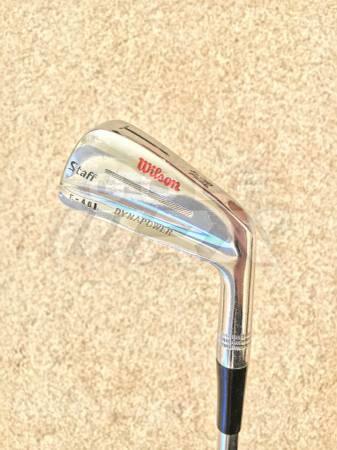 It certainly wasn't unusual for Wilson to offer old grinds and/or stampings for custom order and Tour players' irons years after those particular features were no longer available at retail. 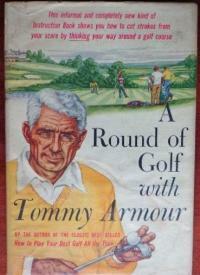 What was rare was to see a Tour player playing that which was being offered at retail at the time. The most common look on Tour back then was something that resembled, cosmetically at least, the Staff model of 1976-77. 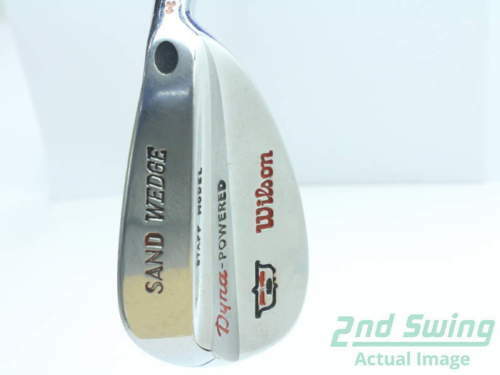 Wilson DynaPowered wedges made for multiple major champion Raymond Floyd. Name stamped on back above sole. Do you know which Staff Dynapower Wedges Ray Floyd used to win the '76 Masters? Haven't looked at that Masters year on YouTube....yet. I have 4 of his DynaPower(ed) wedges and will get a pic or 2 up. Actually, I think I've posted all but one SW previously - the 2 above + a custom PW posted before. All 4 are extra length, have upright lies, with very definite X flex shafts. The 2 above have Precision 7.0 shafts. The others have DG X shafts.